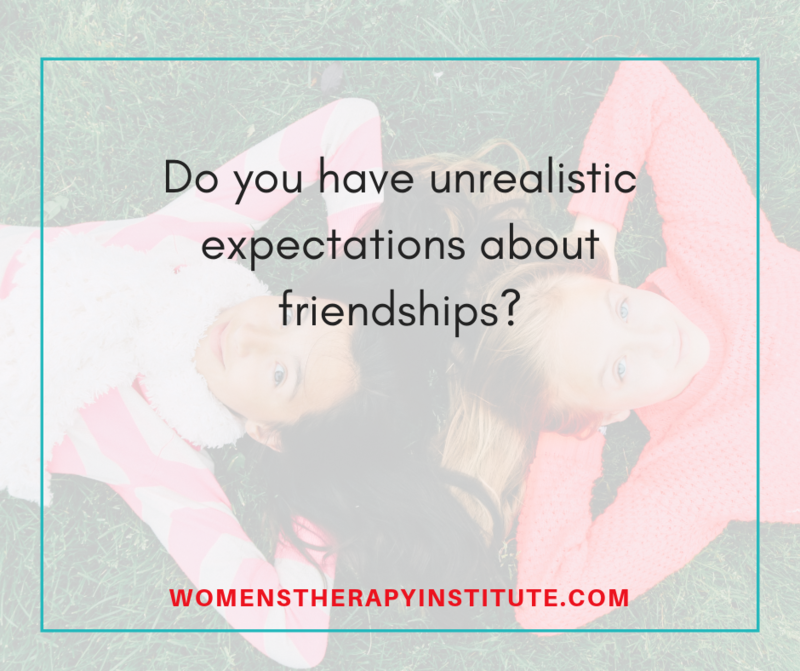 Do you have unrealistic expectations about friendships? 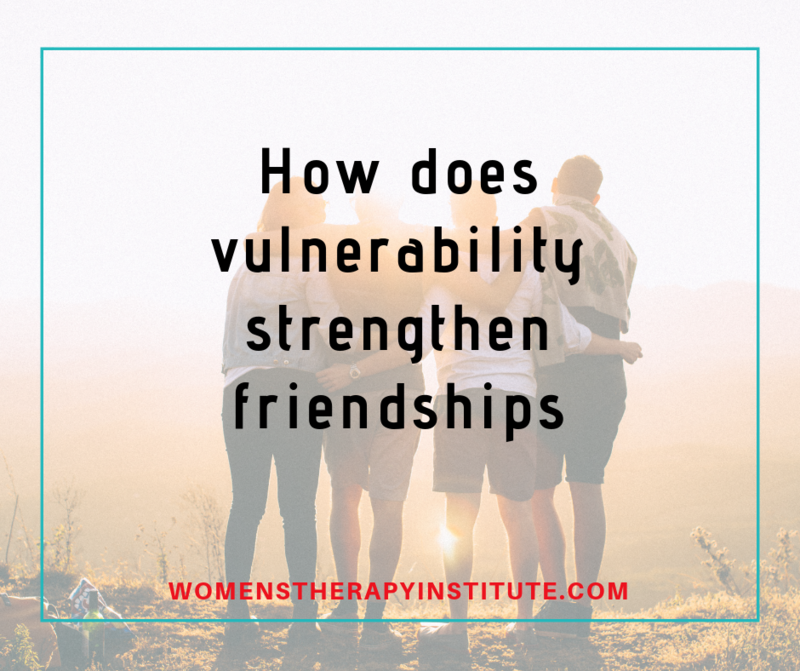 I hear from clients all the time about how they are not able to maintain their friendships. They are kicking themselves, feeling bad, for not keeping the same relationships with their friends over time. They used to go over to their friends’ homes, talk on the phone daily, and share all of lives little moments. Now, they have to plan out a girls night weeks or even months in advance. They rarely have a chance to call and catch up. They realize that they haven’t even told their friend they got a new job or that story about how your kid fell asleep in the middle of the kitchen floor. Friendships change. As an adult you are busier, you have more responsibilities, more demands on time. You might move to chase a career or a spouse. Your worldview might change. It is ok to feel grief, sadness, loss over a changing friendship. It is ok to miss those phone calls and late night movies. But, it is also normal to lose touch. It is normal, and expected, to put your family and other demands on your time first. That is not to say it is not important to still have friends because yes, of course, it is. You still need friend time but it is probably less frequent and maybe with different friends than you previously had. As our lives change our friendship needs do also. Women with children often find they have more in common with other women with children. You share the same stressors and anxiety. You can relate. The same can be said for the working mom vs the stay-at-home mom, the boy mom vs the girl mom, the single mom vs. the married, etc. 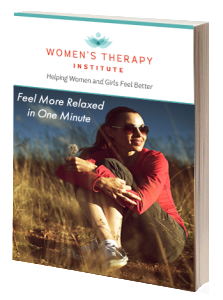 Maybe you have faced some health challenges and you need someone who can understand your pain and frustration. This is all part of life. We evolve, we mature, our circumstances are altered. 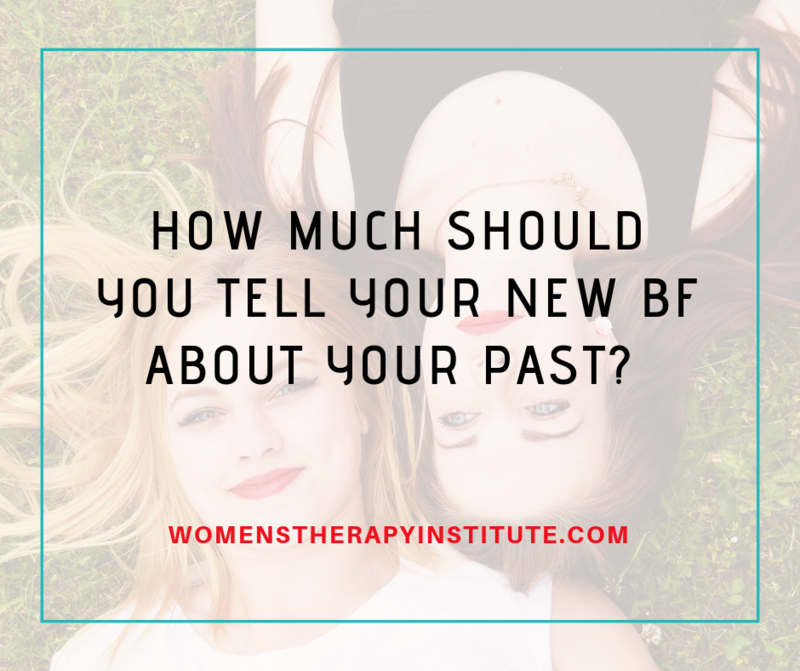 We drift apart from each other, and that is ok.
How much should you tell your new BF about your past? People come and go out of our lives, friendships change and evolve, and new people fall into the role of best friend. When this happens there is often a series of thoughts that go through our heads — what do they need to know? What should I tell them about my past? There is no hard and fast rule. There is not necessarily a reason why you need to tell but there may not be a reason why you shouldn’t. If this person is your new best friend chances are things will come up over time as your comfort level and different situations present themselves. If you decide that you should tell him, her, or they about something that happened in your past you first need to figure out why. Why do you want to tell your new best friend this thing? Is it part of who you are? How does it align with your personal compass? Does it impact your current life? Is it something that you just feel you need to get off your chest? Whatever the reason, and there are a million different scenarios, make sure you are comfortable with your purpose for sharing. Once you share, you can’t take it back. After you decide to confide in them, you are in control. You decide when you want to tell, how, and what. The ball is in your court. You don’t have to divulge more than you would like. Be clear with the person about how it aligns with your personal values. Let them know why you are telling them these things. Maybe you were in an abusive relationship and now you have trouble entering new relationships, maybe you were in a bad car accident that makes it hard for you to drive, maybe you lost a family member in a tragic way and now avoid certain situations, whatever it is, why you want to tell, it is all up to you. Don’t feel pressured to share anything you are not comfortable with. How much do you think you should divulge about your past? I have a client who recently moved to the East Coast. She lives in a very loud, busy, and overstimulating area. As with anyone moving to a new place, she was going through a period of adjustment and forming new friendships, trying to find her place. In reaction to her fear of being lonely, she surrounded herself with people, any people. During a mindless event with one of these groups of people—who she didn’t really jive with—she opened her eyes, looked around, excused herself and walked away. She had a revelation of sorts—she didn’t need these people to fill in her blanks, to make her feel less alone. She realized she was sacrificing herself having to pretend she was something she wasn’t. She was sacrificing her authenticity, and at what cost? 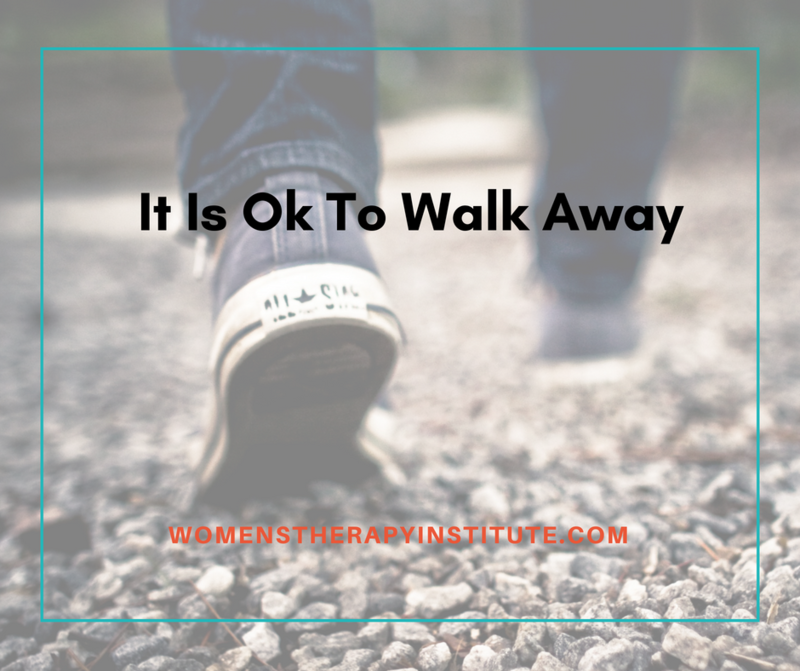 It is ok to walk away. It is the genuine connections in our lives, the people we feel comfortable being ourselves with that add to our happiness, our wellbeing as people. Sacrificing who you are just to be surrounded with people will only leave you feeling more alone. Don’t be afraid to walk away and find those people that lift you up, that expand your horizons, without sacrificing who you are. You don’t need to be dependent on other people for your happiness. You are in control of your own happiness. You need to dig deep inside and surround yourself with the things you love. Embrace your hobbies, take time to do the things that make you feel alive inside. Find the people that share your values and will appreciate you for you. If you are a person who appreciates art, take an art class; if you like to exercise, join a gym or running group; if you like computers or video games, join a club; if you like to read, join a book club; if you like music, go to concerts. In time, you will find the people that see you and love you for who you really are. Don’t sacrifice yourself because you are afraid of the future, or afraid of how it feels to be by yourself. Love yourself, and do what you love. The rest will follow.